I don't think I've ever mentioned how much I love Pretty Little Liars. The TV show, I haven't read the books yet (though the boyfriend's sister tells me they're fun). 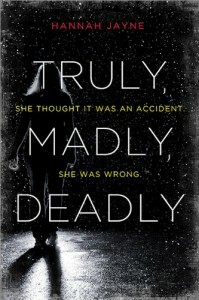 And reading Truly, Madly, Deadly felt a bit like watching an episode of Pretty Little Liars! Sawyer was a likeable, is very much troubled, heroine. She's had to deal with her boyfriend's death and the aftermath in which she felt she couldn't admit he'd been abusing her. I'd actually thought this would be much more on the foreground though. It's mentioned and at times we see her cringe away from people because of it, but we don't really get to see exactly what he did to her. I never really felt like I knew much about Kevin and why he did what he did. I really liked the witty banter between Sawyer and her best friend Chloe. They'd been friend for ages and it showed in how well these two knew each other. She's the stable factor in Sawyer's tumultuous home life, with a father remarrying and procreating with his new wife and her mother being far away. I couldn't quite figure out how much time had passed between the events in Truly, Madly, Deadly and Kevin's death. It seemed fairly recent. And this also meant that although I absolutely got that he'd been hurting her, it did seem strange that she seemed so ok with everything. I don't know, the guilt she felt over kissing Cooper felt very real, but other than that I didn't really get much of an emotion from her over the whole thing. Truly, Madly, Deadly really shows how easy it is to make someone look bad. It's very easy to get framed for something. It's very easy for someone who knows you well to come into your life and with the best intentions scare the crap out of you and do others serious harm without people finding out who it is. 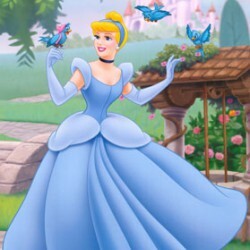 And OMG, IT IS SO CREEPY!! I was suspecting EVERYONE and totally didn't figure out who had done it in the end! I zipped right through this book in about 3-3,5 hours! I was just on the edge of my cushion (lazing around on the balcony, holla) and even postponed my DINNER so I could read the end! It's a fast, easy read and I really like Hannah Jayne's writing style! And in the end when we got told the who in the WHODUNNIT??? I was SO not expecting that! I mean, seriously, it was SUCH a surprise, but looking back I cannot believe I didn't figure it out! Hannah Jayne had definitely left clues around the novel and one big one that I am really kicking myself for not seeing! I totally loved that I couldn't see it coming form miles away, because it made it believable that Sawyer and the people around her didn't see it! Also, reading this book and watching PLL, I'm SO happy that nothing every happened around my high school.